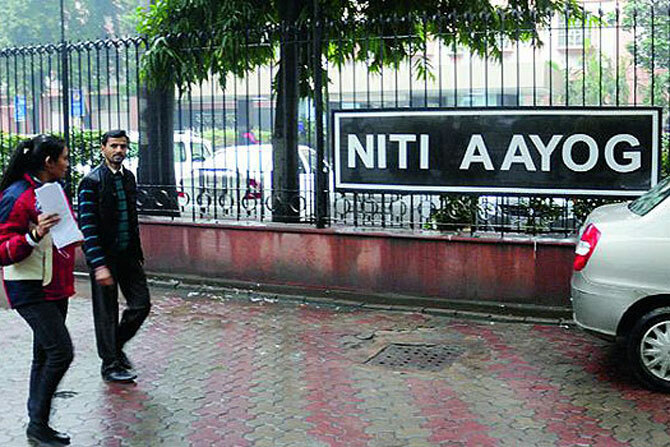 NITI Aayog will soon recommend a new PSUs for strategic sale as part of its overall agenda of reforming the PSU sector and raise revenues for the government. below 51 percent in specific cases. The Cabinet has approved a clutch of companies for strategic sales, including some hotel properties of ITDC, but progress has been slow. The NDA Government had unveiled the move to resume the strategic sale programme in the 2015 Budget and had said that specific sectors would be kept out of the plan. Strategic sale refers to transfer of management control and ownership. The NITI Aayog in the last three years has called for implementing the road map on closing select loss-making PSUs and strategic disinvestment of 20 public sector undertakings which have been identified for such sale. The government think tank had identified a group of PSUs among 74-loss making PSUs for closure, while it has decided on strategic disinvestment in some loss-making enterprises. It has submitted two lists of PSUs with detailed analysis for strategic disinvestment. The government has drawn up plans to sell stakes in more than 20 companies, including Indian Oil Corp, National Thermal Power Corp, Rural Electrification Corp, Power Finance Corp, Neyvelli Lignite Corp and NHPC, to raise Rs 72,500 crore during 2017-18. Apart from the blue-chip stocks, the government also has plans for listing 16 state-owned companies. The process has started for appointing legal advisers and merchant bankers for Rail Vikas Nigam Ltd, IRCON International Ltd, Indian Railway Finance Corporation Ltd, Indian Railway Catering and Tourism Corporation Ltd, RITES Ltd, Bharat Dynamics Ltd, Garden Reach Shipbuilders & Engineers Ltd, Mazagon Dock Shipbuilders Ltd (MDSL), North Eastern Electric Power Corp, MSTC Ltd and Mishra Dhatu Nigam Ltd. The government has plans to list five state-owned insures—New India Assurance Company Ltd, United India Insurance Company Ltd, Oriental Insurance Company Ltd, National Insurance Company Ltd, and General Insurance Corporation of India. The government has set a target of Rs 46,500 crore through small stake sales and Rs 15,000 crore from strategic disinvestment during 2017-18. The finance ministry is planning to step up disinvestment as it has to spend more on infrastructure and social schemes while cutting the fiscal deficit to 3.2 percent of GDP in 2017-18, from 3.5 percent last year. Earlier, in April the government kicked off the new financial year’s disinvestment programme by selling 9.2 percent stake in NALCO. The government raised Rs 1,204 crore--Rs 250 crore from retail and Rs 954 crore from institutions--from the startegic sale in NALCO.